Home » Blogging » How to Start a Blog! Blogging is an easy way to make money from home. It’s simple to get started and can be done from anywhere in the world! Learn how to start a money making blog today! Whether it’s a Homesteading Blog, a Mommy Blog, a Fashion Blog, or just a Blog about your Crazy Family, the information on starting a blog can be a little overwhelming. Or maybe this is your first step towards trying to figure out how to start your own blog. Either way, I’m so glad you’re here! If you are ready to take the leap into blogging, to carve out a piece of the web-o-sphere all your own, to start making money for something that you love talking about, then you are in the right place! Over the past 12 years I’ve owned and created content for 8 different blogs. Each one served it’s purpose for a time and was well loved by me… After years of practicing and learning and researching, I finally figured out exactly how to have a fun, enjoyable, profitable blog! For 4 years now I’ve created content and made money through my blog A Modern Homestead. It provides not only a creative outlet for me, but also a full time income for our family, and lets me share my passions with the world, not just my friends and family! Have you been itching to try your hand at blogging? It’s really easy to get started! Let me walk you through the 3 easy steps to starting your own blog! NOTE: If you already know you’d rather have a set of videos and some really awesome worksheets and checklists to walk you through this process, click here! 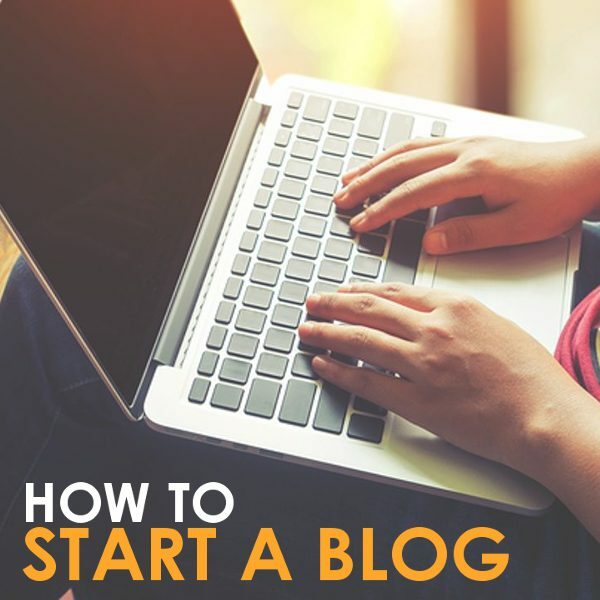 Exactly How to Start A Blog! If you don’t have a blog, but making money on the side wherever you are sounds great… or maybe you’re not even worried about money and you just want to have fun, here are the 3 steps to take to get started! NOTE: I’m not going to tell you the cheapest way to start a blog. Instead, I’m going to show you the fastest and best way to get started with a profitable blog! While you may technically be able to start a blog for $3.95, you are left with a low quality product, and zero idea of how to be successful! These steps will lead you through every single part of starting a blog and making money from day one. And, while it may be a teensy bit more than $3.95 to get started, the money you spend will come back to you within your first month if you implement these steps fully! But not all hosting accounts are created equal! Bluehost is often pushed by bloggers, but as someone who was with them for 12 years on 8 different sites (and loved them until recently! ), I can tell you that their service has gone drastically down hill this year. Instead, for the same price, you can get started with Siteground. Their service is phenomenal, their customer service and tech support are off the charts, and they will even transfer your existing site (if you have one) for free! At the same time that you buy hosting, you need to grab a domain name. (If you are going to grab hosting, I would be honored if you would use the link below! It gives me a small commission at no extra cost to you. Thank you so much! 1. Select “Get a New Hosting Account”. 2. Select “Register a New Domain”. 3. 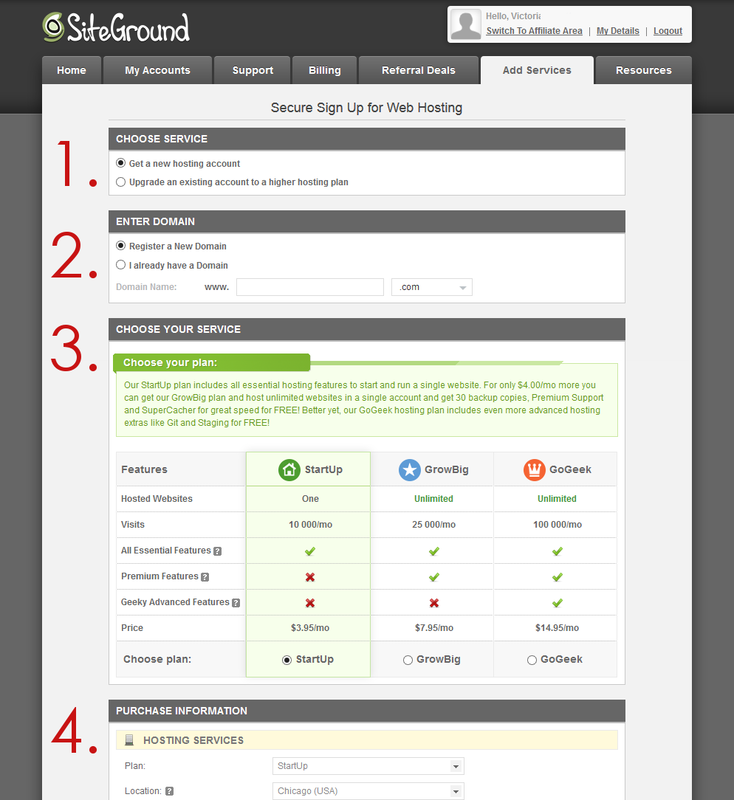 Choose your hosting plan. Tip: If you’re just starting out, the cheapest plan is fine! You can upgrade as needed at a prorated price. 4. Complete the payment info section and submit! Tip: I would get both the privacy and site monitoring services, though they are optional. Click here to take the first step towards creating a passive income for your family! Now that you have hosting and a domain name, you’re officially a blogger! Congratulations! Next it’s time to actually get your blog set up and start writing content! So in step two, you’ll want to install WordPress and a theme! Follow these easy steps to install WordPress on your Siteground account. Log into your Siteground account. Click “My Account” at the top of the screen. Scroll until you see “WordPress”, click that button. Follow all on screen instructions to install WordPress on your domain. Now it’s time for the really fun part! 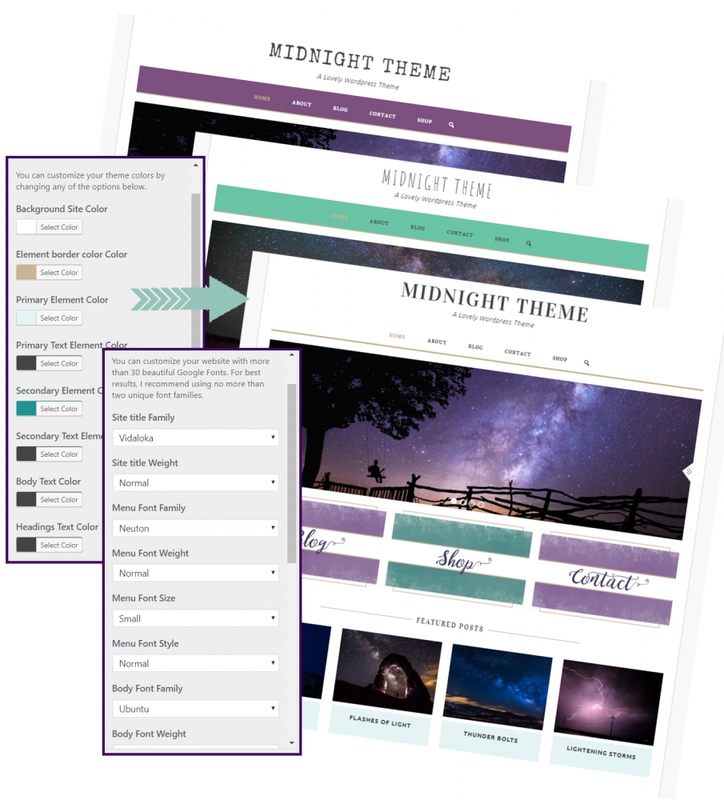 Installing a theme and customizing it to the look and feel you want for your blog! Follow these steps to install a theme on your WordPress account. Click “Appearances” on the left-hand side of the screen. Click “Themes” and browse the free themes until you find one you like! If you’re ready for a gorgeous professional theme, this Genesis theme is the one I use and I absolutely adore it! Click “install” and “activate” to finalize your theme choice. Don’t worry, you can do it again if you don’t like the results! This will open up the customize options for your theme. Play around with it and enjoy! But if that seems a little overwhelming, I recommend grabbing this Launch Your Blog course that my blogging bestie Anna and I put together for bloggers just like you! If you want to get started in the fastest way possible, then this is the course for you! Whether you already have a blog or not, this course covers everything you need to know to actually be successful! We walk you through everything, WITH VIDEOS so you know exactly what you are doing by the end! From picking your niche, setting up your theme, to writing your first post and actually bringing people to your site, this course is exactly what you need to get your blog up and going! Here are a FEW of the things you’ll learn in this course! How to get people to actually read your blog! How to create images for Pinterest and more! Exactly how to make money with your blog! Every step you need to take to be successful at blogging! As you’re setting up your blog it’s also important to make sure you have everything in place to start making money. If you don’t, you will be leaving big money on the table! In fact, I have a second blog that I started just 4 months ago which made $300 in it’s SECOND month!! If I hadn’t had everything set up and ready to go when I created that blog I would have missed out on that first big month, as well as the ones that followed! There are quite a few different ways to make money, depending on your page view bracket, but any blogger, at any level, can make money blogging! To find out exactly where you should be applying to get the most money for your efforts based on your page views bracket, check out my book Make Money Blogging at Any Level: 2018 Edition. Here are a FEW of the things you’ll learn in this book! How to get yourself and your blog ready to make money. All the income sources you can pursue for your blog size, and how to maximize those streams. How to contact companies directly for sponsorship opportunities and how much you should charge. All the tools you need to make sure your blog stays profitable. Grab the information to make sure you are making the most of your blog, no matter how big or small! NOTE: This book is included in the Launch Your Blog course! Now that you are armed with the exact information you need to get started, it’s time to take the leap! Blogging is one of the cheapest ways to start an online business and make money from home. It’s flexible, easy to start, cheap to maintain, and you can grow your income to thousands per month! I’m proof. And you can do this too! Hi Haffy! I usually recommend 9-12 finished posts, with a plan for regular posting before promoting the first 9-12. Hey Melissa! Definitely not a scam <3 But I totally understand! This really has helped a TON of people create full time incomes for their families! I make about $8000 a month blogging and that DOES NOT count the money that I make from helping others learn to blog. So you don't have to tell other people how to blog to make money blogging (it's NOT a pyramid scheme). I make real money talking about my love of scratch cooking and homesteading! I hope that helps and all the best with your homesteading efforts! !